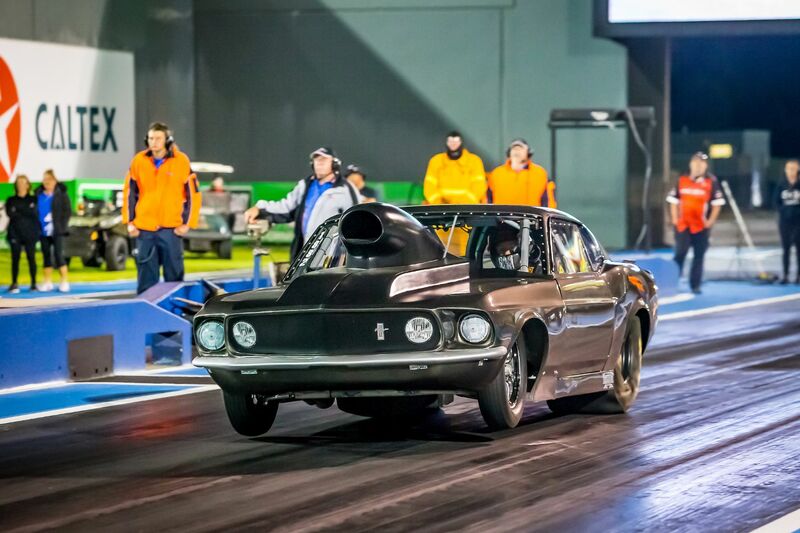 The chase is on to decide Western Australia’s new drag racing champions, with a number of categories providing thrilling, close contests ahead of this Saturday’s WA Drag Racing Championships Round Six. Top Comp is proving to be a battle of the altereds. Sam Treasure leads with a 30 point margin to Al McClure, both driving AA/A-classed cars. 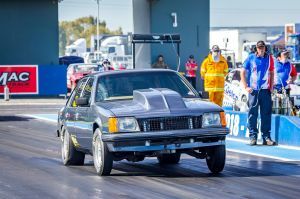 Treasure has managed to overcome a missed event to rein in McClure, with appearances in the last two final rounds accelerating his points haul. 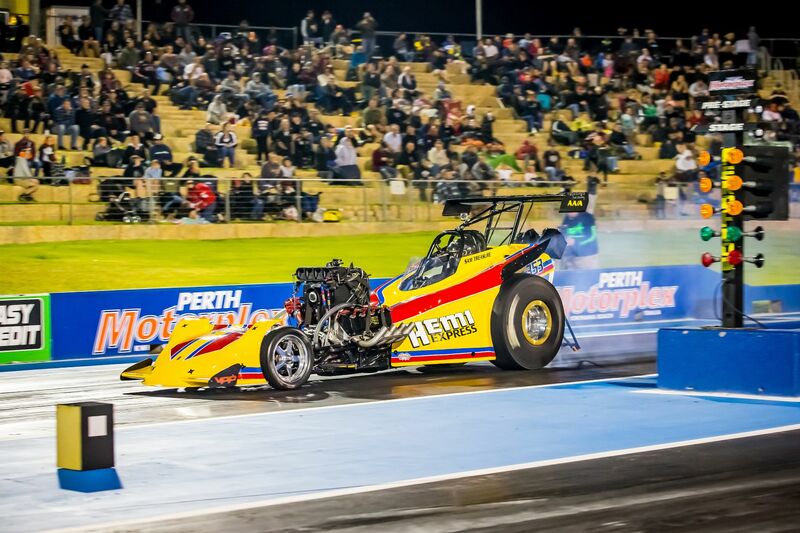 Fellow altered young gun Trent Morrison has been alongside Treasure in those two final rounds, taking out the win at the last event. 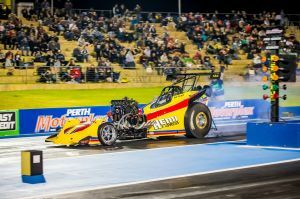 Though he missed the opening part of the season and is unlikely to figure in the championship standings, Morrison’s competitive CC/AA has been cleaning up on points that drivers like McClure need to take advantage of. In Super Comp, it’s a battle of former championship winners with Errol Quartermaine and Ralph Lewis separated by just 20 points. 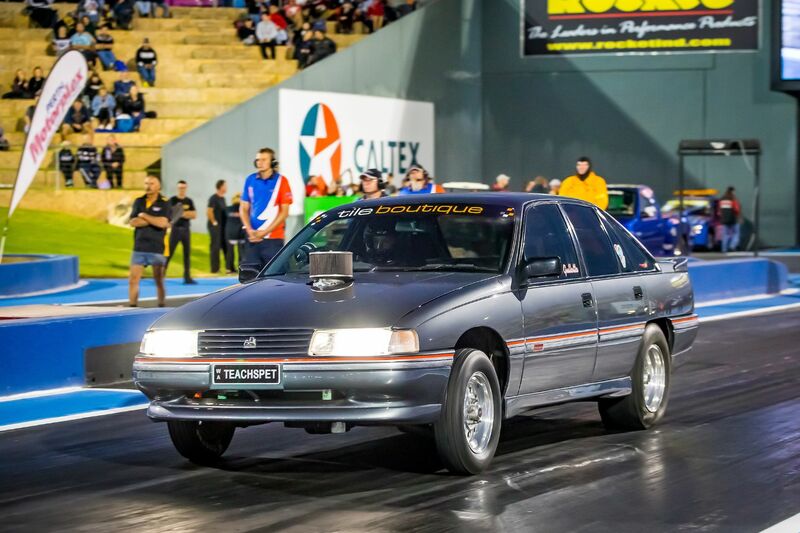 Super Comp’s series is being rested until the Westernationals, where an influx of interstate teams may play a role in making things tougher on the locals. Competition Bike looks to be a sure thing for reigning champion Phill Paton, who sits on 495 points, way ahead of second placed Brett Ghedina on 220. 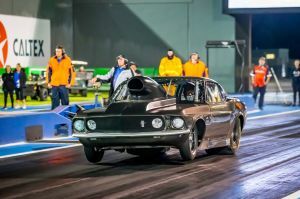 Supercharged Outlaws has come down to a two horse race between Alan Mahnkoph and his fan favourite ‘Force Fed’ ute and Jodie Mellitt. Mahnkoph’s lead is out to almost 100 points, so Mellitt has some work to do to claw back the lead. 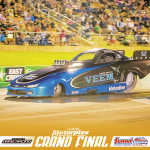 Chris Roe has been driving the season of his life so far in Top Sportsman. 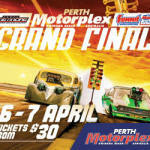 Roe has appeared in five final rounds this season and won four of them, giving him a substantial lead over Amanda Martin in second place. Roe’s current points haul of 510 also has him in the box seat for the Driver of the Year title. Modified rookie Angelo Locantro has shown you don’t need big cubic inches to be a player in Modified, with his two wins at the start of the season helping keep him at the top of the points. 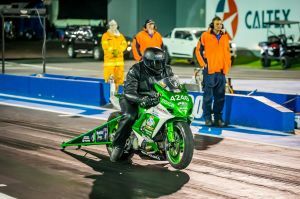 With a 95 point margin to second placed Jeff Acton, if Locantro can just keep getting regular round wins he should be able to bring the championship home. 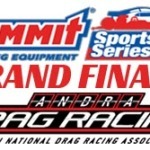 Arguably the toughest championship battle is in Super Sedan. Matt Gullotto has scrapped hard for his 435 points and the lead of the series, making two final rounds in the incredibly competitive bracket. Hot on his tail is Mick Fenton with 430 points, then last season’s Driver of the Year Yvette Gregg on 420, Kyle Higgins on 395, Neil Scott on 385 and Nick Panagopoulos on 380 – all within striking range. 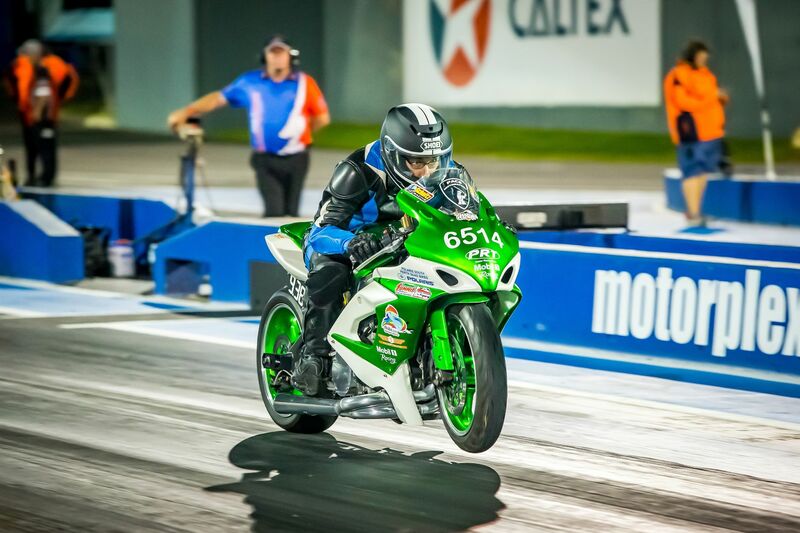 Chris Moore has managed to eke out a decent lead in Modified Bike, with his 480 points leading Brian Hotker on 425. With lots of rounds at each event however, Modified Bike’s points can easily tip in someone else’s favour easily. 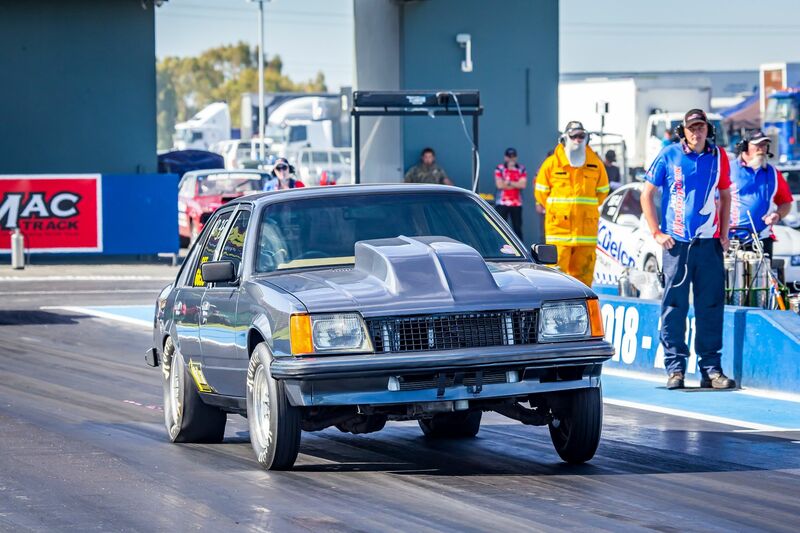 Finally in Super Street, Joel Trotman has taken his Commodore on a march this season. Thanks to two wins and a runner up he has 500 points, though Chris DeBruin is in hot pursuit (he is a member of the Beat the Heat team after all) on 445 points.